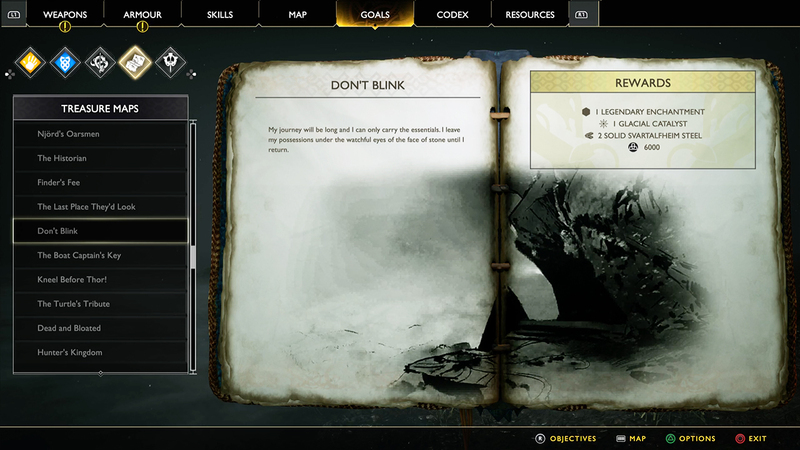 Track down some rewards hidden on the mountainside by following the clues within God of War's Don't Blink treasure map. 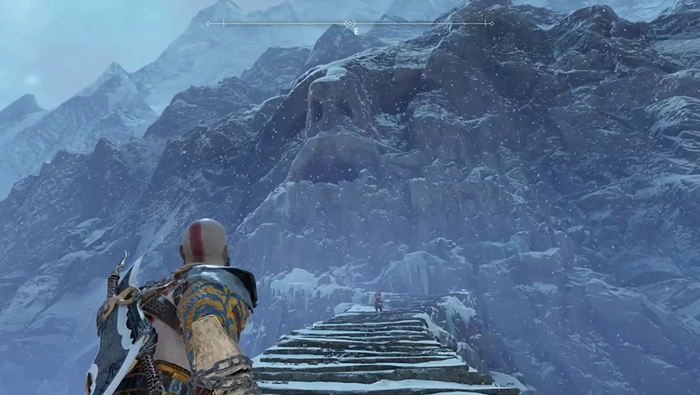 God of War may be a game stuffed to the brim with various collectibles to track down, but many of the different items on offer are designed alongside the game's world, providing players with a good excuse to go out and explore. The game's many treasure maps are perfect evidence of this, presenting the chance for Kratos to score some decent loot just by puzzling out individual treasure stash locations. Here's the essential breakdown for the Don't Blind treasure map, which sends players out in search of a treasure watched over by stone eyes. The Don't Blink treasure map in God of War can be found within Fafnir's Storeroom, toward the east side of the world map, in a gigantic circular room found by trekking through the Forgotten Caverns. The map will be sitting in the middle of a circular platform, just near the remains of a fallen soldier. Having a look at the map will provide some insight as to where the treasure can be found: "My journey will be long and I can only carry the essentials. I leave my possessions under the watchful eyes of the face of stone until I return." Tracking down this hidden treasure involves using the Bifrost Crystal, meaning players who haven't yet found the item will have to return after they find it. Those that already have it should head over to the giant face that can be seen at the entrance of The Mountain. Climb the long walkway up to the face, then scale the mountain side using the vertical crack found just after the first jump gap. Once back on the path, turn to the left and walk a few paces to find the treasure buried just near the cliff's edge. As a reward for a stash well found, players will be rewarded with one Legendary Enchantment, one Glacial Catalyst, two Solid Svartalfheim Steel, and 6,000 Hacksilver. Stay fresh on other treasure maps and in-game collectibles, plus get a look at all of our various mission guides by heading over to our ever-expanding God of War walkthrough and guide hub.